While the World of Computers have been taken over by the LAPTOPS, there are still several applications left for a Desktop Computer. They are still widely used in offices, at homes as PC’s and most of all, in Gaming. When people go to buy a computer, after the machine, the thing that comes to mind is a display. In the Old days it was a pretty simple choice with only 1 technology available, i.e. the CRT (cathode Ray tube) monitors. All you needed to decide was the size and you were done buying your screen. But with the arrival of LCD’s and Later on LED’s, the choice has become a dilemma. Here is a simple guide to what you these technologies are and which one you should buy. LCD Technology was introduced first while LED Technology came later. The difference between them is not very huge. In fact LED monitors are a type of LCD monitors, or an improvement over them.The display is shown to us when the signals are received by the monitor, a backlighting source emits light and it passes through a medium which changes its intensity and coloration. The medium through which light (originating from the backlighting source) passes are Liquid Crystals similar in both LED and LCD. They differ in the kind of backlighting used. LED and LCD monitors are based on the same basic technology for image display, While LCD monitors use cold cathode fluorescent lamps for backlighting, the LED use light emitting diodes. This is the prime difference between the two display technologies. Since being the latest Tech. , LED is surely winning in all aspects when it comes down to the visuals. Some of the main differences that you can see with your bare ideas are…. Viewing Angle: While in LED you get the same picture quality even when viewed from different angles,LCDs have a limitation of maintaining a viewing angle of 30o to see the picture properly. LEDs claim to have a high viewing angle of up to 160 degrees. Eye Protection: When it comes down to what is good for your eye health, the results are ambiguous. It has varied with person to person. While several people consider LED to be better for eyes, some have completely condemned it. Although response time does effect the eyes. In old LCD’s the response time was much larger making the eyes for soar, while in latest LCDs it has been corrected. In my View there is no difference due to the tech. but rather due to the brightness levels that a person uses for their display. There is no Comparison between the two when it comes down to cost. LCD will always win this one. 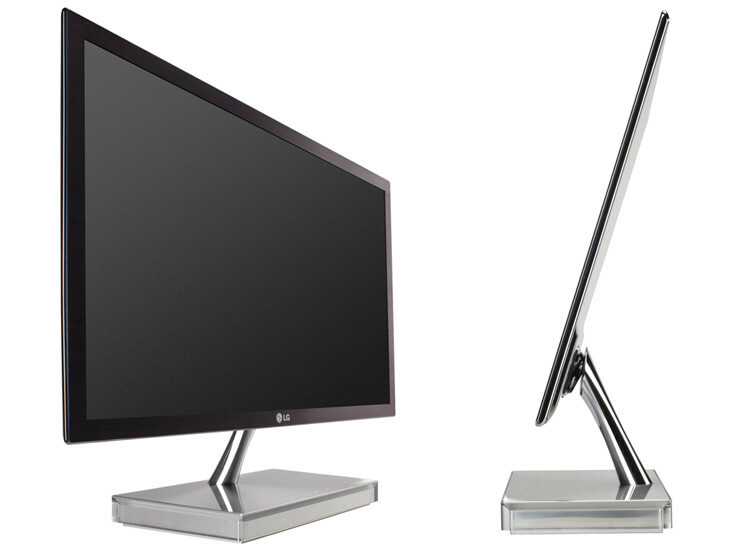 An LED monitor might cost 1.5 times greater then an LCD display. The only major drawback of LED is its cost . This is mainly due to the difficult tech required to control the LEDs the light the LED screen. In this department, LCDs cannot exceed LED monitors. With an average LCD having a thickness of 40-50 mm, LED backlit monitors are always preferred. Extremely sleek designs that available in LEDs, it gives more of a ‘high tech’ affect. The average LED can be as thin as 7.2 mm. LG E2290V is an example. Here is a video comparing both the technologies. You should always have a look at the monitor before you buy. No matter how many reviews you read or ratings you see, its all a personal thing in the end. So I would suggest that you make a list of 2 or 3 monitors before going to the store and have a look at their display before buying any one. A superior approach to drive the indoor led display is to have them in arrangement and point of confinement the current for the entire string. This implies there's just a single place where you're squandering power rather than twenty.